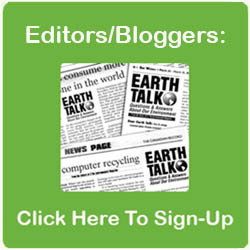 Dear EarthTalk: I’m looking for projects for my son’s elementary school to do for Earth Day this year. Do you know of any that can teach children about taking care of our environment? 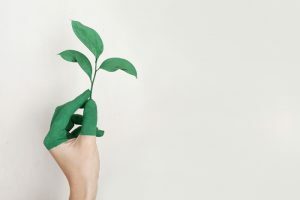 Earth Day is April 22 this year and there’s no time like the present to start preparing activities that will teach young people about the importance of protecting the planet. The Seattle-based Earth Day Network, founded by the organizers of the first Earth Day in 1970, offers a wide range of resources to help parents and teachers plan events and direct appropriate discussions on current topics. This year, the organization is focusing efforts on raising awareness about environmental problems associated with global warming. Parents and teachers can register with Earth Day Network and receive free materials including lesson plans, information on how to get students engaged in local environmental activities, suggestions for hands-on and outdoor activities—even an environmentally-themed “Jeopardy” game. Some other free resources offered by Earth Day Network include: an “Ecological Footprint Quiz,” whereby kids can find out how much impact they personally have on the environment as determined by how they eat, live and travel; a series of informative fact sheets on climate change and alternative energy sources; and links on their website to other reputable information sources online. And if you’re looking for Earth Day events to attend in your area, Earth Day Network’s website allows you to simply type in your locale and get a continuously updated calendar of events local to you. Another interesting way to educate kids and the public alike is the Earth Day Groceries Project: Parents or teachers borrow grocery bags from local supermarkets to be decorated with environmental messages and artwork by students. The bags are then returned to the store and used for bagging groceries on April 22. For those looking to get real local, the Heartland All Species Project offers a free, web-based “Earth Day in Your Neighborhood” guide outlining ways kids can bring neighbors together to celebrate the Earth and commit to greener living. The concise and illustrated guide details ways to get composting, tree planting, energy efficiency and recycling projects going on a street-by-street basis. For additional ideas, consider perusing the posts on the Earth Day/Ecology Projects Chatboard on Teachers.net. Several teachers have posted ideas for Earth Day projects and activities, from putting on a play based on Dr. Seuss” Lorax, to raising money for school by recycling inkjet cartridges. CONTACTS: Earth Day Network, www.earthday.net; Earth Day Groceries Project, www.earthdaybags.org; Heartland All Species Project, www.allspecies.org/neigh/blocka.htm; Education World, www.education-world.com/holidays/archives/earthday.shtml; Teachers.net, www.teachers.net/projects/earthday.